Low Tide, Finn Slough, Richmond. 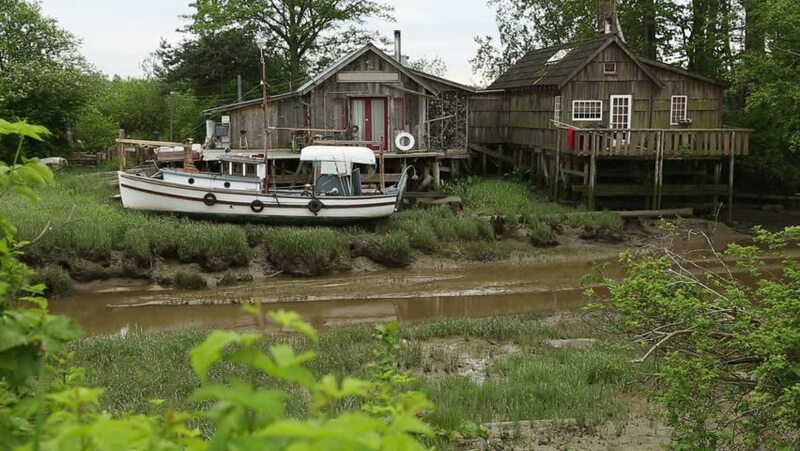 Low tide in the quaint and historic fishing settlement of Finn Slough on the banks of the Fraser River near Steveston in Richmond, British Columbia, Canada. 4k00:08A perfect neighborhood. Houses in suburb at Summer in the north America. Luxury houses with nice ocean front view. Aerial drone. 4k00:13Old haunted house at river bank. hd00:19A perfect neighborhood. Houses in suburb at Summer in the north America. Luxury houses with nice landscape. Aerial drone view.